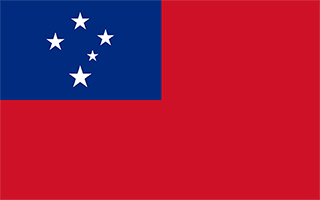 S -13° 38' 24" and W -172° 40' 12"
Fagafau in Satupa‘itea with it's 273 inhabitants is a city in Samoa about 62 mi (or 100 km) west of Apia, the country's capital. Local time in Fagafau is now 08:44 PM (Sunday). The local timezone is named Pacific / Apia with an UTC offset of 13 hours. We know of 6 airports in the vicinity of Fagafau. The closest airport in Samoa is Asau Airport in a distance of 10 mi (or 16 km), North. Besides the airports, there are other travel options available (check left side). Depending on your travel schedule, you might want to pay a visit to some of the following locations: Asau, Safotu, Satupa`itea, Vailoa and Safotulafai. To further explore this place, just scroll down and browse the available info. Let's start with some photos from the area. Family elders start the night off with a nice opening siva. The Alofaaga Blowholes, also known as the Taga Blowholes, are a natural feature located in the district of Palauli, south west of Salelologa wharf on the island of Savai'i in Samoa. The entrance to the blowholes is in the village of Taga. In this area, lava flows have created a series of tubes connecting a flat clifftop of lava rock with the ocean below. Located at -13.8022, -172.52 (Lat. / Lng. ), about 15 miles away. Falealupo is a village in Samoa situated at the west end of Savai'i island 20 miles from the International Date Line used until December 29, 2011. The village has two main settlements, Falealupo-Uta, situated inland by the main island highway and Falealupo-Tai, situated by the sea. The road to the coastal settlement is about 9 km, most of it unsealed, from the main highway. Located at -13.5, -172.8 (Lat. / Lng. ), about 13 miles away. Gaga'ifomauga is a political district on the island of Savai'i in Samoa. The district is situated on the northern side of the island with a population of 4,770 (2001 Census). Gaga'ifomauga district include the village communities of Aopo, Lefagaoali'i, Manase, Safune, Safotu, Samauga and Sasina. The main village in the district was traditionally Aopo. Manase, Safotu, Sasina and Safune are situated by the sea. Located at -13.4833, -172.5 (Lat. / Lng. ), about 16 miles away. Satupa'itea is a large village district with four sub-villages on the south east coast of Savai'i Island in Samoa. In the country's modern political divisions, Satupa'itea is also a Political District (Itumalo), one of 11 in the country, which now includes the traditional area of Salega. Located at -13.6333, -172.633 (Lat. / Lng. ), about 3 miles away. Vaisigano is a political district at the western tip of Savai'i island in Samoa. The capital of the district is Asau. This area is also referred to as 'Itu Asau' (Asau district) in the Samoan language. The population of Vaisigano is 6,643 (2001 Census). Within the district is the village of Vaisala whose chief Va'ai Kolone became the Prime Minister of Samoa twice in the 1980s. Located at -13.5333, -172.733 (Lat. / Lng. ), about 9 miles away. Neiafu is a village on the island of Savai'i in Samoa. It is in the Alataua Sisifo electoral district and located at the south west corner of the island. The population of Neiafu Uta is 598 and Neiafu Tai is 313 (2006 Census). Like many villages in Samoa, Neiafu has two settlements Neiafu Tai (coastal) and Neiafu Uta (inland). The settlement was previously situated by the sea, but with the advent of the modern island road, many families have moved several kilometers inland for convenience. Located at -13.5167, -172.717 (Lat. / Lng. ), about 9 miles away. Sataua is a village on the island of Savai'i in Samoa. It is situated at the northwestern end of the island in the district of Vaisigano. The population is 874 (2006 Census). Located at -13.5178, -172.696 (Lat. / Lng. ), about 9 miles away. Aopo is a village on the island of Savai'i in Samoa. It is in the political district of Gaga'ifomauga. The village is located inland from the north coast of Savai'i, close to the main lava field from the island's volcanic cones. There is an Aopo Conservation Area open to visitors and the trail starts at the east end of the village. Hikers can ascend Mt Silisili, Samoa's highest peak, from Aopo. In 2007, Aopo village sold its teak plantation to Blue Bird Lumber. Foailuga is a village on the south-west coast of Savai'i island in Samoa. It is situated in Palauli district. Foailuga is near the other villages of Foailalo and Satuiatua. The population is 538 (2006 Census). Many of the villagers have emigrated overseas, mainly to the United States and New Zealand. Like the rest of Samoa, Foailuga is governed at a local level by chiefs (matai) with support from the women's committee in the village. Located at -13.6667, -172.55 (Lat. / Lng. ), about 8 miles away. Asau Airport is a small domestic airfield located in the thick dense jungle at the northwest end of Savai'i in Samoa. The airport is in the village of Asau and mainly services chartered flights. This airport is open daily for 12 hours a day. According to the Samoan media, the Old and New Asau Airport is still operating under International Standards. Located at -13.505, -172.628 (Lat. / Lng. ), about 10 miles away. Mata o le Afi is a volcano on the island of Savai'i in the South Pacific nation of Samoa. Mata o le Afi translates from the Samoan language as Eye of the Fire or Source of the Fire. The most recent eruption of Mata o le Afi occurred from 30 October 1902 to 17 November 1902. Other volcanoes on Savai'i include Mt Matavanu and Mauga Afi. In Samoan mythology the god of earthquakes is Mafui'e. Located at -13.6087, -172.508 (Lat. / Lng. ), about 11 miles away. Satuiatua is a village on the island of Savai'i in Samoa. It is situated on the central south coast of the island in Palauli district. The population is 286 (2006 Census). The Satuiatua Beach Fales was one of the first locally owned tourism ventures on the island and attracted all types of visitors, especially surfers, for the reef break off the coast. Located at -13.6833, -172.55 (Lat. / Lng. ), about 9 miles away. Foailalo is a village on the island of Savai'i in Samoa. It is situated on the south coast of the island in Palauli district. Located at -13.6667, -172.567 (Lat. / Lng. ), about 7 miles away. Fagaloa is a village on the island of Savai'i in Samoa. It is situated on the south coast of the island in the electoral constituency (faipule district) of Palauli West which is part of the larger political district of Palauli. Located at -13.75, -172.517 (Lat. / Lng. ), about 13 miles away. Tufutafoe is a village on the island of Savai'i in Samoa. It is situated on the west coast of the island in Vaisigano district. The village population is 399 (2006 Census). Located at -13.4833, -172.767 (Lat. / Lng. ), about 13 miles away. Fogasavai'i is a village on the island of Savai'i in Samoa. It is situated on the south east coast of the island in the traditional district of Salega which falls within the larger political district (Itumalo) of Satupa'itea. The population is 358 (2006 Census). Located at -13.6833, -172.633 (Lat. / Lng. ), about 4 miles away. Vaipua is a village on the island of Savai'i in Samoa. It is situated on the south east coast of the island in the traditional district of Salega which falls within the larger political district (Itumalo) of Satupa'itea. The population is 400 (2006 Census). Located at -13.6333, -172.617 (Lat. / Lng. ), about 4 miles away. Fai'a'ai is a village on the island of Savai'i in Samoa. It is situated on the south east coast of the island in the traditional district of Salega which falls within the larger political district (Itumalo) of Satupa'itea. The population is 427 (2006 Census). Located at -13.6667, -172.633 (Lat. / Lng. ), about 3 miles away. These are some bigger and more relevant cities in the wider vivinity of Fagafau.